You can also add the image to your website from your image library to your website in site builder. 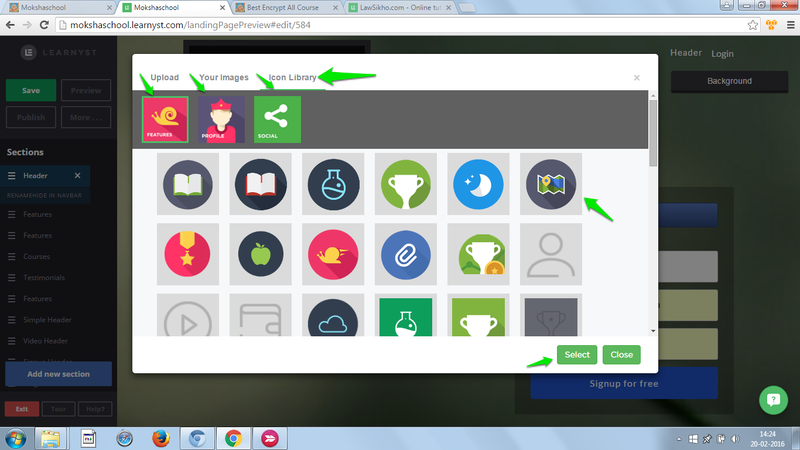 Login into Learnyst and from admin dashboard go to site builder. In site builder on top right corner of your website's landing page preview click on edit button on "Add Image Here" dotted box. Click on Upload/Replace.